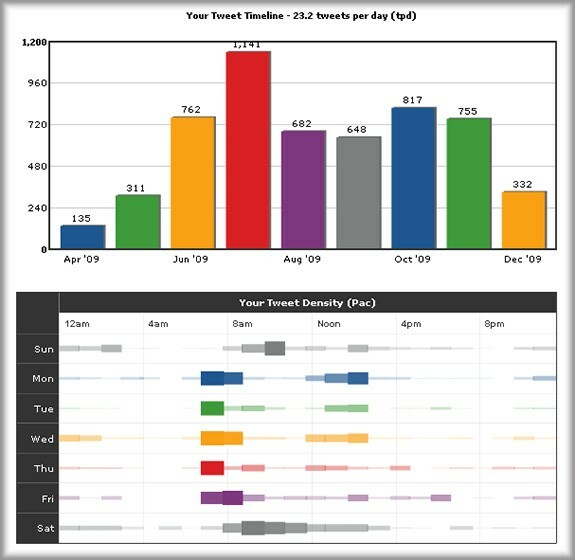 “Among all the keywords, hashtags, and phrases that proliferated throughout the year, one topic surfaced repeatedly,” the company wrote in a blog post Tuesday. 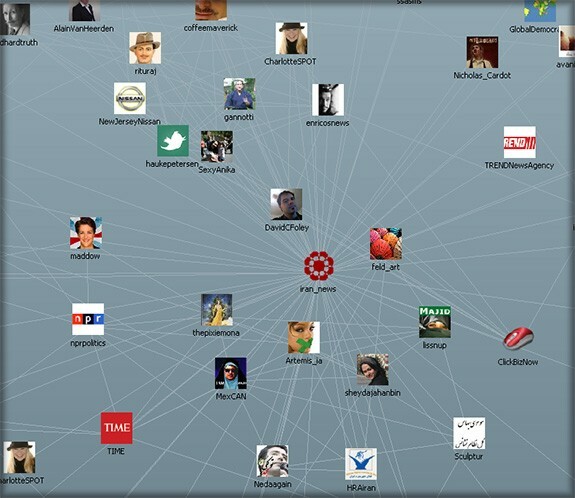 “Twitter users found the Iranian elections the most engaging topic of the year. 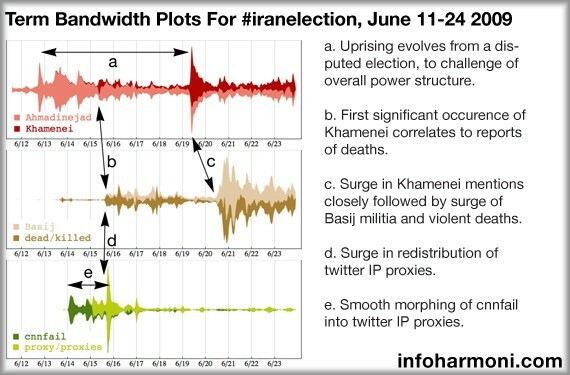 The terms #iranelection, Iran and Tehran were all in the top-21 of Trending Topics, and #iranelection finished in a close second behind the regular weekly favorite #musicmonday.” Hashtags are a user-developed method to make it easier to search within Twitter for particular keywords. 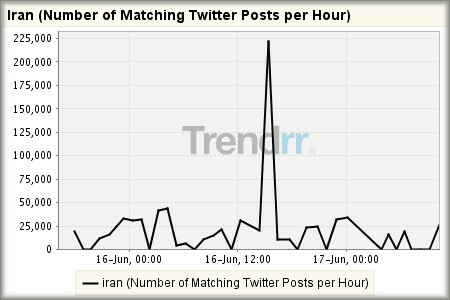 Twitter posts on #iranelection reached 100,000 per hour on June 16 and eventually climbed to 220,000 per hour. 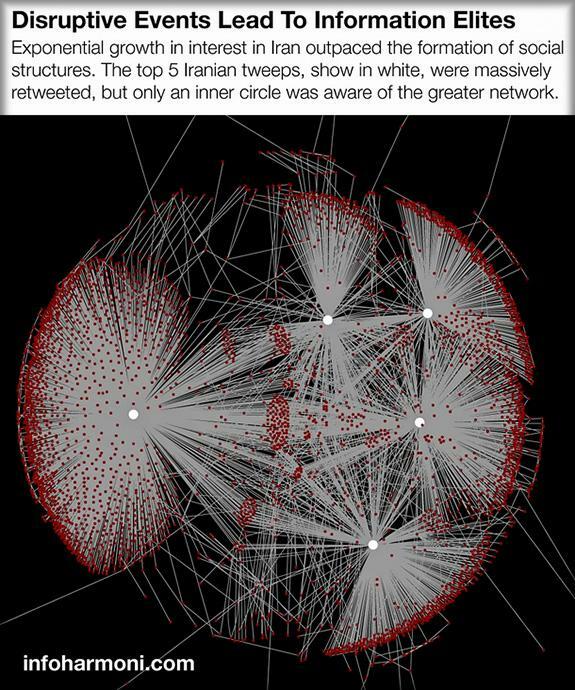 In response to the Iranian governments shutdown of both local and international from reporting on the events unfolding in Iran, it’s connected populace turned to social media channels, to break the news using mobile phones, through proxy servers setup by freedom of speech advocates in the US and their own blogs and social media outlets. 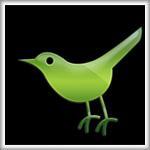 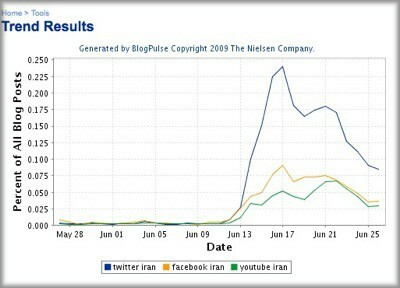 Following are a couple of graphs from infoharmoni.com analyzing Iran twitter news. 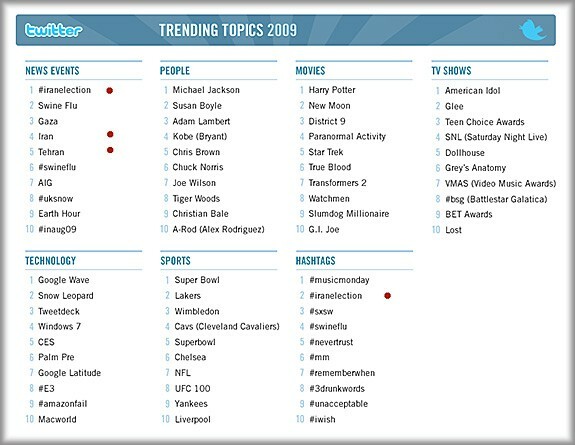 According to retweetradar.com IranElection was top 10 trend for the following 60 days in 2009.